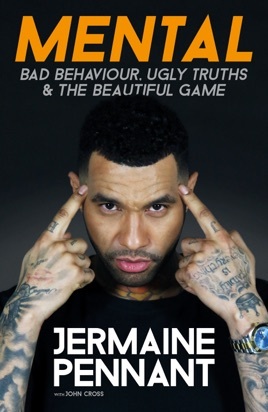 Jermaine Pennant is one of English football's most controversial figures. Love him or loathe him, there is no ignoring the story he has to tell. Raised by a mother who faked her own death to abandon her black baby, and a father who kept guns and Class A drugs in the house meant that life's options for a young Jermaine were limited. Yet he saw professional football as his way out, and took his chance, emerging to be one of England's most gifted young footballers. A true prodigy, Jermaine climbed to the pinnacle of his sport to compete for the highest honours with legends at Arsenal and Liverpool. The boy from one of England's toughest neighbourhoods was barely into his twenties and rich beyond his wildest dreams. But, for Jermaine, some of life's most important lessons were learned late. His outrageous lifestyle would spark a fall from the dizzying heights he had reached, ensuring he'd be remembered as much for being the 'mental yob' with an ankle tag as for his heroic performance in a Champions League final. Jermaine Pennant has seen and done it all - the highs, the lows and everything in between. His autobiography is a gritty coming-of-age story, an exposé into the excess-fuelled life of a super-rich Premier League footballer, and a cautionary tale of the dangers of plying young players with too much, too young. His turbulent climb through the battleground of the beautiful game holds a mirror up to the broken face of English football. Told with unblinking truth, his story is a no-holds-barred riot of determination and debauchery, excellence and excess.